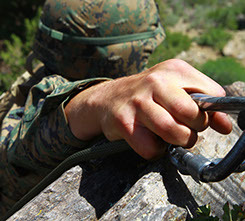 For active duty military service personnel, our military training programs will teach you vital skills for your next operation. 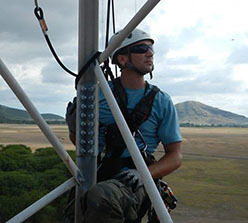 Let our professional team assist with your next industrial, commercial, adventure sports, or film rigging project. Whether you're just beginning your professional career or are a seasoned veteran looking to learn new techniques, we've got a class for you. In 2004 we began offering our rope access/fall protection training courses. 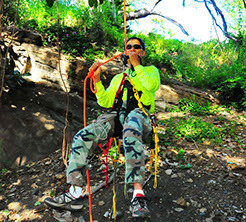 These classes are designed for the professional working outside in a vertical environment - specifically on and around man made structures and natural features such as steep terrain, cliffs, or canyons. These courses are intended to exceed formal fall protection training according to OSHA standards, and to supplement your repertoire of skills and knowledge not normally obtained through on the job training.